Mazda 2 has travelled a long journey and competed really tough to be one in present from a minivan-like model in 1996. Mazda is rapidly expanding its market by introducing gorgeously designed models one after another. 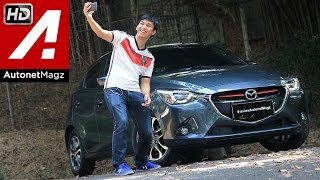 With one ready to release in 2015 as sedan, company unveiled its Mazda 2 2015 in Japan in 2014, Let us have a closer look at this new release. Interior of also gets revised portraying a clean and attractive look. Leather seats get contrast of red stitching accompanied by leather wrapped door armrests and clean layout dashboard featuring lowered center console. 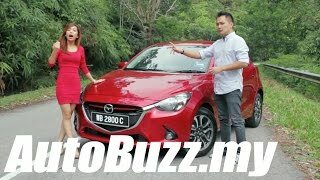 Talking about the technological upgrades Mazda 2 2015 brings MZD Connect in-car connectivity system adding to the updated navigation system and new instrument cluster. It is housed with i-ACTIVSENSE active safety technology and yes back in the infotainment a head up display system featuring all vital information. Exterior of Mazda 2 2015 is both clean and sporty. Major changes to come into your notice will be through the all new Mazda’s ‘Kodo-Soul of Motion’ design language. 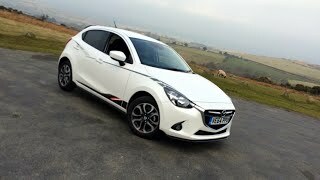 We have noticed the same language in some other siblings of Mazda 2 2015 like CX-5. At the front fascia of Mazda 2 2015 are the stretched angular headlights touching the fenders. Amidst them is traditional Mazda grille surrounded by V-shaped chrome. Marching towards the rear fascia of Mazda 2 2015 we noticed touch of sportiness through the horizontally laid taillights and liftgate. 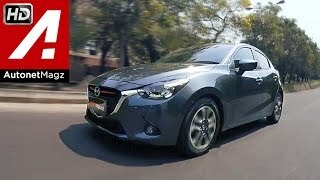 Rounding up by talking about the entire exterior details of Mazda 2 2015, we found it both decent and sporty, let us take it a new approach of company, may be an attempt (worth applause) to expand its market. 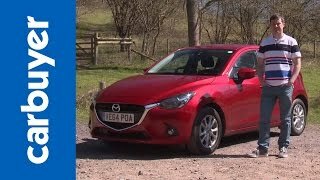 Mazda 2 2015 will come with a few powertrain options, however topping the notch is a SkyActiv-D 1.5 Liter diesel engine delivering 103 hp and peak torque of 250 nm. This will be accompanied later with two gasoline power units; SkyActiv-G 1.5 Liter and 1.3 Liter. Not much has been shared regarding performance figures but expect your sporty hatch to compliment your days with its looks and efficient engines that will undoubtedly prove friendly for your pocket.